While the annuity jackpot prize for Friday night's Mega Millions drawing is $500 million, the cash option payout is $359 million. Editor's note: The day after this story was published, the jackpot estimate rose to $540 million. The jackpot in Friday's Mega Millions lottery drawing has risen to an estimated $500 million, the largest in the game's history, after Tuesday night's drawing produced no jackpot-winning ticket. The latest estimate, announced around midday Wednesday, is even larger than lottery officials had announced just hours earlier. The initial estimate for Friday's drawing was $476 million, which also would have been a Mega Millions record. Tuesday's numbers were 9, 19, 34, 44 and 51, with a Mega Ball of 24. That drawing was for an estimated $363 million jackpot, which would have been the game's third-largest. Forty-seven tickets earned a pre-tax prize of at least $250,000 each by matching five numbers without matching the Mega Ball. Nine California winners will get $308,573 each because of parimutuel rules in that state. The game's previous biggest jackpot was $390 million in a March 6, 2007, drawing. That jackpot was split by winners in Georgia and New Jersey. The growing jackpot has drawn plenty of interest from would-be millionaires. On Monday, lottery officials announced that "stronger than expected sales" prompted them to push up Tuesday's jackpot up from an initial estimate of $356 million to $363 million. "I see so many different faces every day, and it's not just Tuesday and Friday that they come in. It's every day of the week," Latasha Allen, a manager at a Columbus, Georgia, convenience store, told CNN affiliate WTVM-TV this week about the growing number of lottery players in recent days. 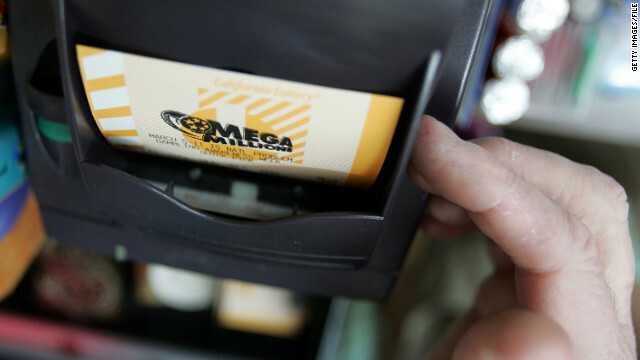 In Virginia, one of the 42 states where Mega Millions is played, lottery officials expect that about 5.8 million tickets will be sold on Friday alone, Virginia Lottery spokesman John Hagerty said. Two Fridays ago, on March 16, the state is believed to have sold about 1.3 million tickets for a jackpot that was, at the time, $200 million. "Sales are very, very strong in Virginia. It looks like we're seeing a lot more people who don't normally play want to get in the game," Hagerty said Wednesday afternoon. Friday's $500 million prize is payable as an annuity over 26 years. If a winner prefers, he or she could choose a one-time, lump-sum payment, which in this case would be $359 million. Both figures are before taxes. This prize has been building since January 24 when a Georgia woman won a $72 million Mega Millions prize. She chose a $52 million lump-sum cash option. Last year, the game stopped just short of breaking its record. A $380 million jackpot was split by two winners, one in Idaho and another in Washington, on January 4, 2011. The biggest single-ticket win in the other nationwide lottery, the Powerball, was in February 2006 when a ticket held by eight workers at a Nebraska food plant paid a $365 million jackpot. Mega Millions is played in 42 states plus the District of Columbia and the U.S. Virgin Islands. A jackpot-winning ticket must match all five numbers drawn from a pot containing 56 balls and then match the Mega Ball, which is drawn from a pot containing 46 numbers. Odds of winning are almost 176 million to 1. Each ticket costs $1. Jackpots start at $12 million and rise for subsequent drawings when jackpot-winning tickets aren't sold. I'd buy a small country and become a dictator. I'll sell my house, and buy a bigger one that is more than likely cheaper than what I paid for the one I'm in now. Put money away for my son's college, and maybe will get another car. I'll keep working and pay myself an additional salary with the interest the money earns. If I get laid off, then I will retire. @@@maria id quit everything , move to switzerland , and never look back! The payout is is far less than the intake. Who is the real winner? Just another scam? How is this money being spent? Accountability? Think about it. It's not a scam. They give you the rules, the odds, etc. You're not forced or tricked into exchanging your money for a ticket. So your saying you wouldn't take 200 million +++. Are you on the NYC Board of Education? Come on, just joking. You're wasting your money. You have a better chance of a Martian spacecraft landing in your back yard. Anyone who purchases a ticket is a SUCKER. Bunch of idiots dreaming. its truly sad to see people so fascinated with "money"
As a proofreader/copyeditor, I couldn't care less about Don's spelling! Incorrect spelling and poor grammar are part of the "charm" of this medium. That's a lotta moola! I would but the Minnesota Vikings a new stadium and give middle class and working poor fans free tickets! And a beer too! Risky business.....playing a bet for over half a billion dollars... problems associated with instantly becoming a "neuveau riche"! I think......hmmmmmmmm............. I shall take that risk!